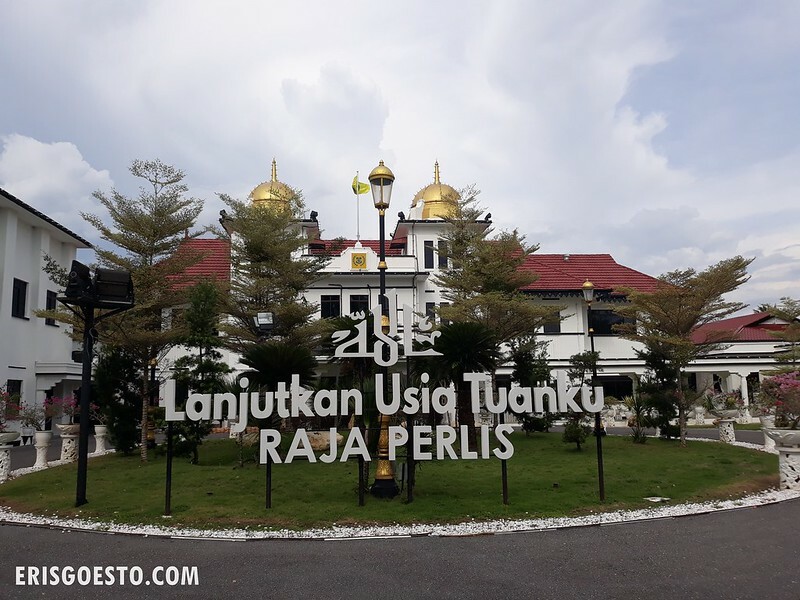 I’m taking some time off from exploring the city (it’s been raining like crazy the past few days) – so here’s my recent experience traveling to the northern Malaysian state of Perlis for work. You can read the full story here – but it was basically a collaboration between Malaysia Airlines and the Perlis Royal Family, to bring Perlis cuisine to passengers flying with the airline during the festive season of Eid. The Perlis royal family shared a palace favourite recipe – the Kurma Daging Perlis / Kurma Ayam Perlis – and the Malaysia Airlines kitchen would recreate it and serve it onboard selected flights for the first three days of Eid. My job was to do a story on it for online, whilst the Malaysia Airlines video production crew I traveled with did photos/videos for social media. The above video (which is less than a minute!) took us hours to film and get right lol. Some of the interviews (the parts with the palace chef, for example) didn’t even make it on film. And people think video production is easy work! 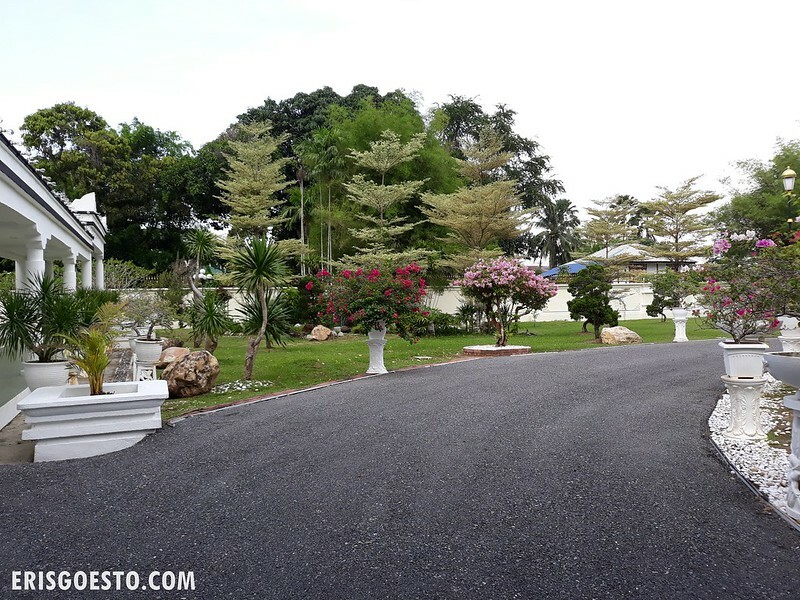 We arrived at Istana Arau, the official residence of the Perlis Royal Family in the evening for a site recce, but ended up doing the palace chef’s interview on the spot, which was initially scheduled for the next day. Interviewing for video is way. more. difficult. than for print because you have to get the interviewees to say full sentences, and most people are nervous in front of a camera, so you have to repeat takes. It was a good thing we didn’t have to jump into interviewing the royal fam straight away – the palace aide had to give us barbarians a crash course on proper etiquette while meeting the Crown Prince and his consort. 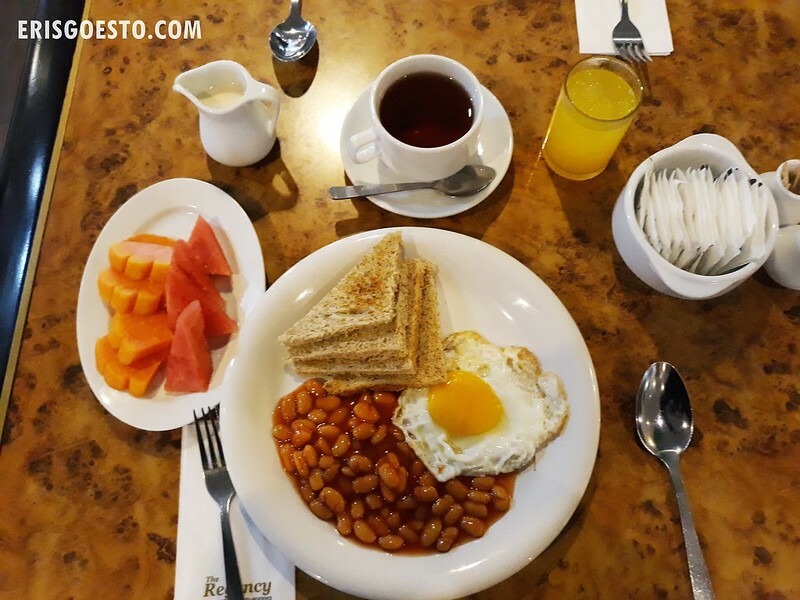 Breakfast at The Putra Regency Hotel Kangar was a simple affair – canned beans, sliced bread, fruits and sunny side up egg, served with coffee and juice. 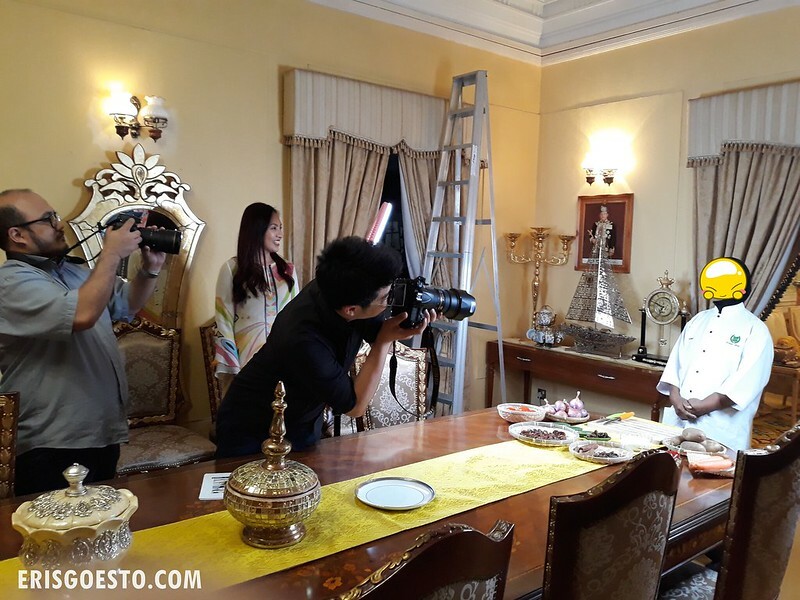 Then it was off to the palace again for the ‘real’ work – shooting footage of the dishes that would be served onboard, and interviewing the Crown Prince. The exterior of the palace. The compound is not normally open to the public except on special occasions. 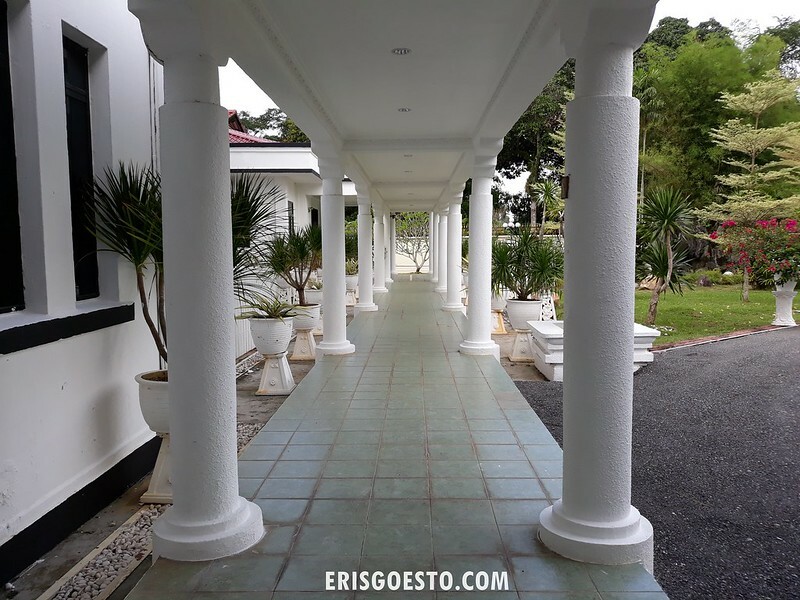 The Istana itself dates back to the early 20th century and has beautiful architecture. Not sure if palace protocol allows me to post any photos of the palace interiors. We only visited two rooms: the dining room where we did the food shots, and the holding room where the royal family receives guests. Helped set up the props such as dry ingredients, plates, etc. ; and then the film crew started to do the shots. Because we couldn’t film in the kitchen, they flew in a ready made kurma daging dish, reheated it and used that for filming. I was nervous interviewing the royal couple because there are protocols to be followed, such as the ‘sembah’ (salutations? where you place your palms together on your forehead and ask for permission to speak) , but once the ball got rolling it was me, the interviewee and my notepad again. The entire shoot took us close to four hours – and all for less than a minute of footage! It was an interesting experience nevertheless, and everyone was fun to work with. ….Welp, that was my little ‘diary’ entry that’s not the usual travel/food stuff.